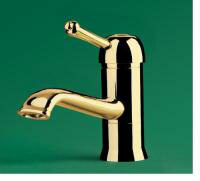 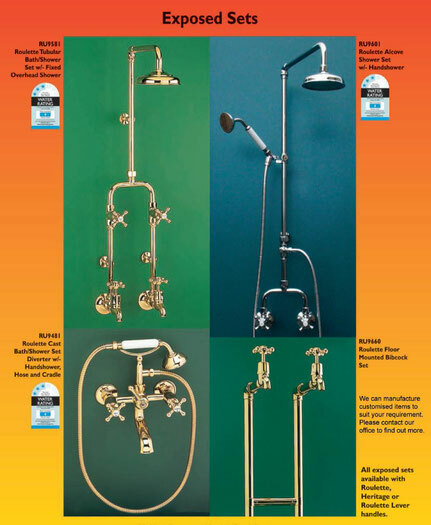 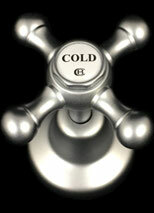 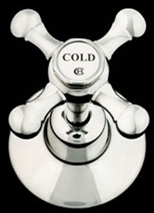 Proudly manufactured in Australia high quality and bespoke brass tapware and accessories. The products below are Australian made to Australian standards. 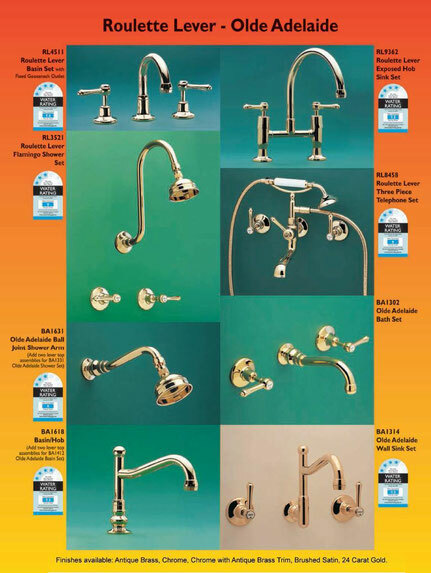 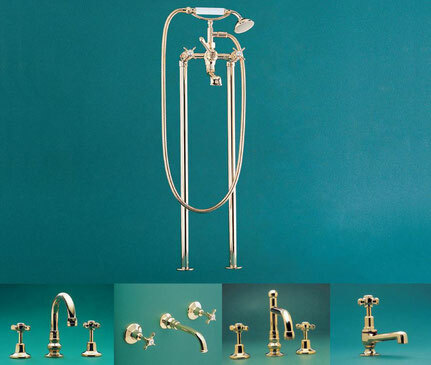 Range of finishes includes Polished Brass, Brushed Satin, Antique Brass, Brushed Antique Brass, Chrome, Raw Brass, Polish to Plate, Various Copper Finishes, and 24 Carat Gold. 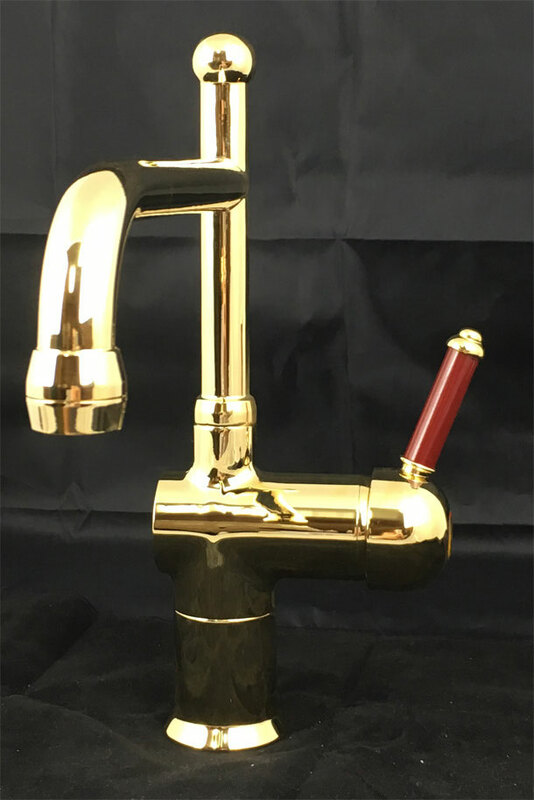 In addition to these finishes, there are various coloured brass inserts to compliment your design, standard colours include Black, White, Almond Ivory, Burgundy and Heritage Green. 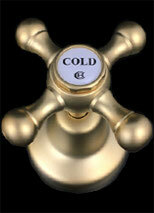 Other colours are available upon request. 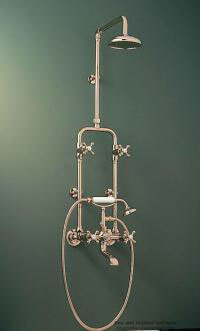 One of our most versitile and venerated styles. 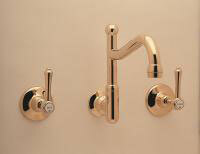 Roulette looks great in classic and contemporary, in any and all of our finishes. 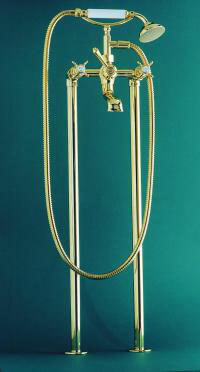 Roulette also looks great when paired with our English Style basin inserts. 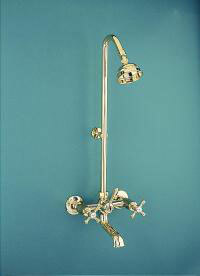 Beautiful in all finishes and also featured as standard on all Olde Adelaide sets. The Roulette Lever series of tapware is supplied standard with our 'Rapid Action' mechanism which is equivalent to 'Ceramic Disc' in terms of water control. 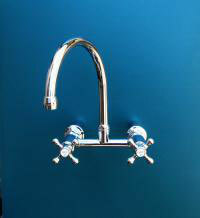 Coloured inserts allow for added flare for your tapware. 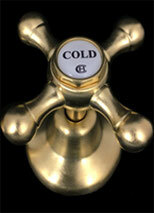 Our coloured inserts are not plastic or ceramic, they are made from Australian brass. 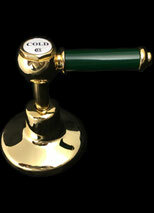 Standard colours available for fast delivery are Black, White, Almond Ivory, Burgundy and Heritage Green. 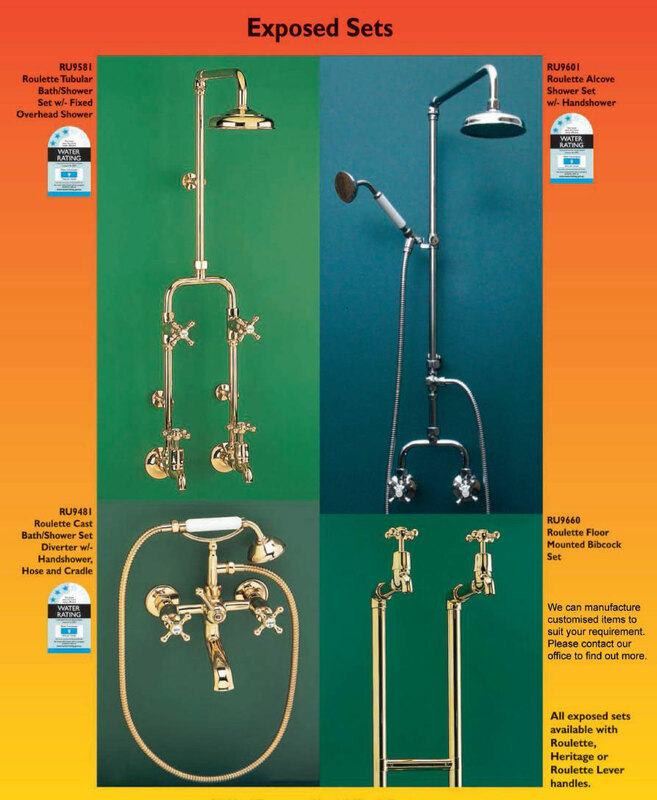 Our Heritage range is our flagship style for classic restorations. 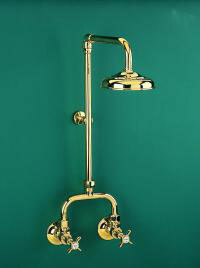 It is absolutely beautiful in our various brass finishes. 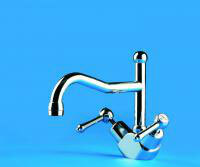 When finished in Chrome it provides a modern twist to this handle. 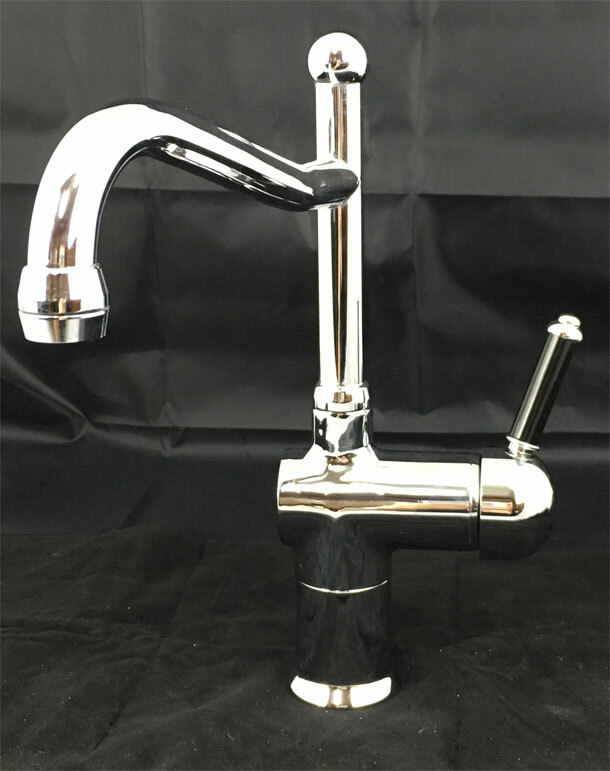 The DB Series is our domed top style mixer, as standard it uses a Roulette Lever spoke. 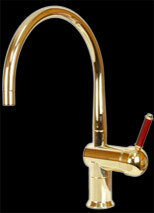 Like with the Roulette Lever range, coloured inserts can be added to the DB Series. 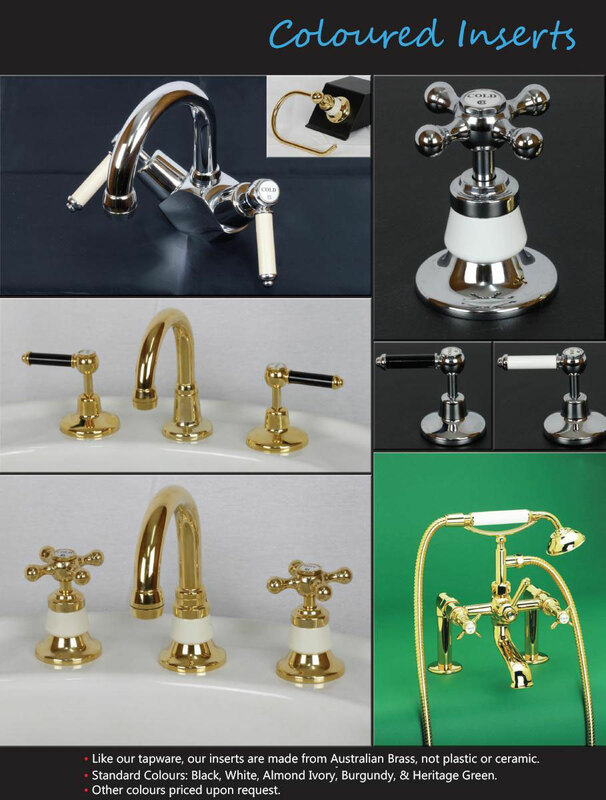 Antique Brass (Gold) is a finish electroplated on to brass (like chrome) which has the appearance of freshly polished brass. 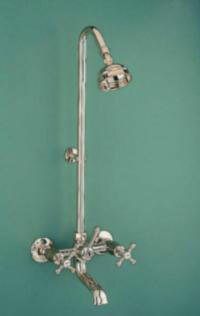 It does not look oxidised or tarnished in any way – it looks brand new. 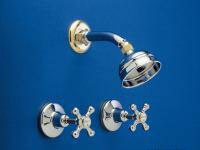 Chrome Plate is a very durable finish electroplated on to brass. Being chemically inert it does not tarnish (this is, discolour in the presence of air and moisture). 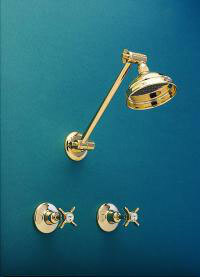 Brushed Satin is a very durable finish electroplated on to brass. 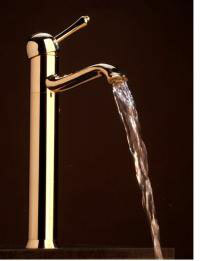 Being chemically inert it does not tarnish (this is, discolour in the presence of air and moisture). Brass is the basic material of our tapware, and in the course of manufacture the exterior parts are polished to a high lustre – hence Polished Brass. 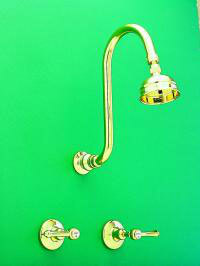 Polished Brass quickly and easily reacts to air and moisture and this creates tarnishing. 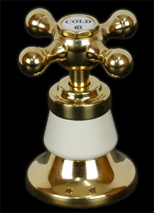 This is essentially the original brass as it is manufactured. 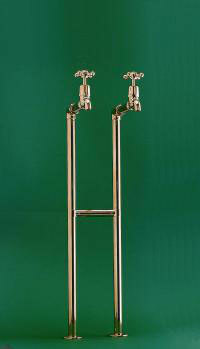 It will show weld marks and as different forms of brass are being used, the colour will differ throughout. 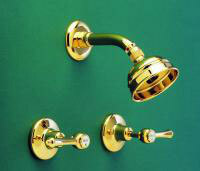 This finish will provide a very rough look. 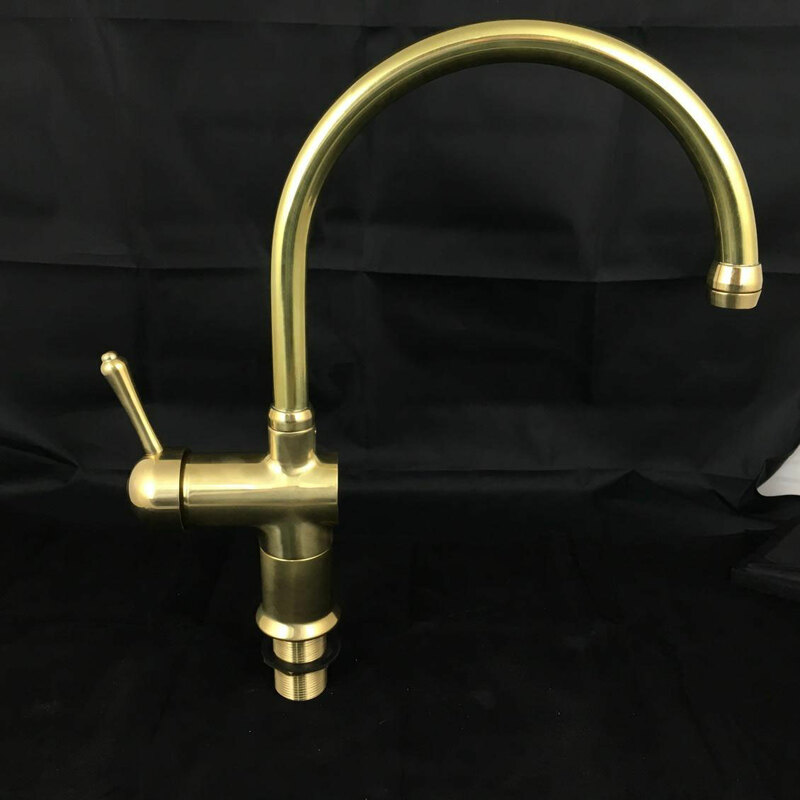 This finish is the same as Raw Brass except that the brass has been slightly polished ready for a plating process therefore a consistent rough colour is achieved. 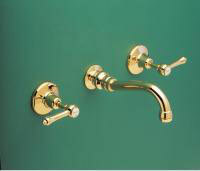 It is a cleaner finish than Raw Brass but still provides a rough look. 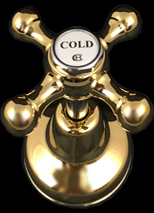 This is a mix of our Chrome and Antique Brass (Gold) electroplated finishes where Chrome is the dominant colour in the combination. 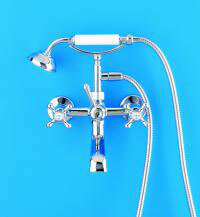 Being chemically inert it does not tarnish (this is, discolour in the presence of air and moisture). 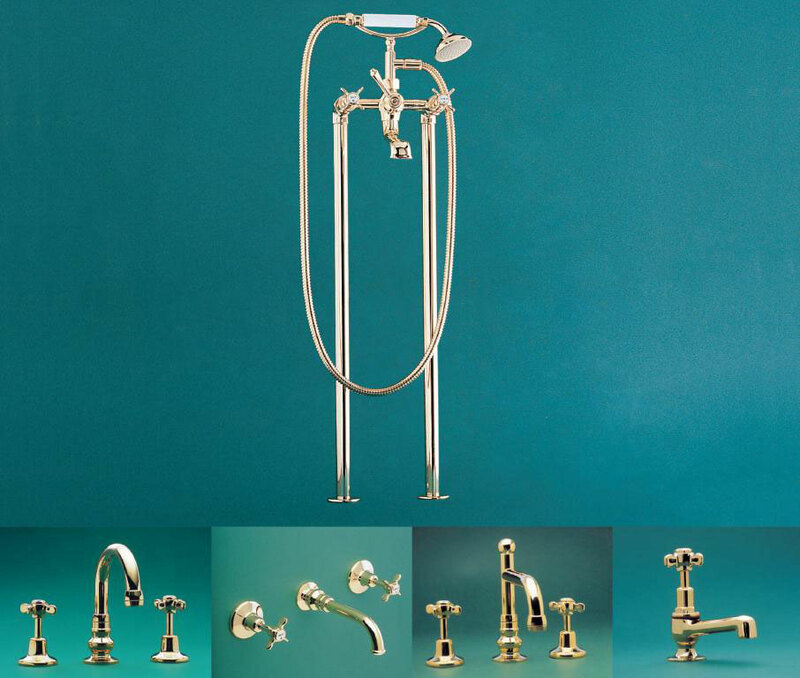 This is a mix of our Antique Brass (Gold) and Chrome electroplated finishes where Antique Brass is the dominant colour in the combination. 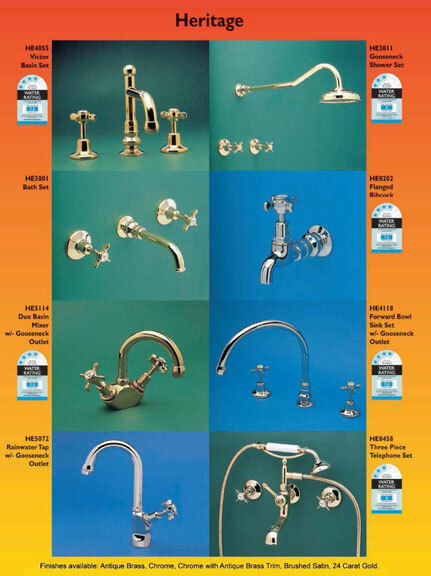 Being chemically inert it does not tarnish (this is, discolour in the presence of air and moisture). 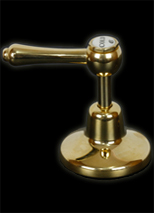 Brushed Antique Brass (Gold) is a finish electroplated on to brass (like Chrome) which has the appearance of fresh brass but with an effect like Brushed Satin. 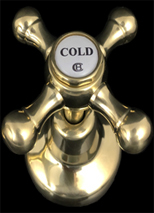 It does not look oxidised or tarnished in any way – it looks brand new. 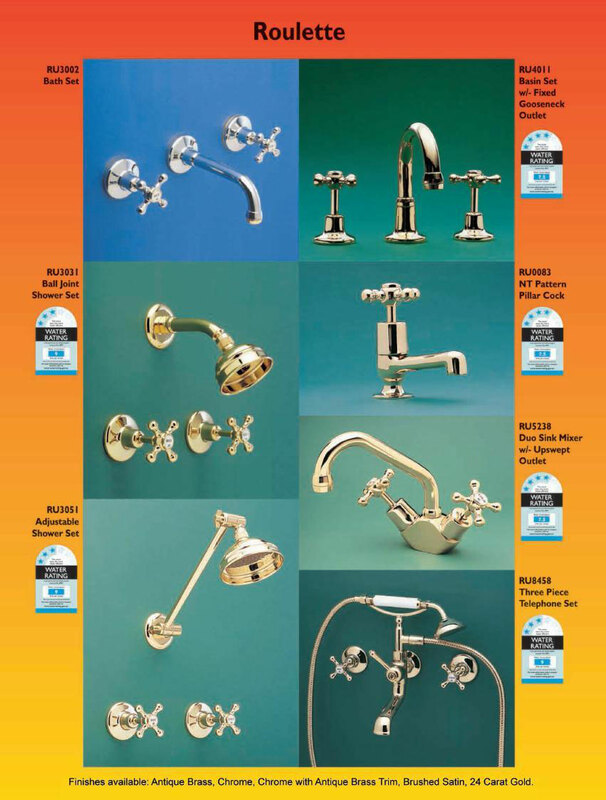 Satin Chrome Plate is a very durable finish electroplated on to brass (like normal Chrome) which has the appearance of Chrome but with a Satin that gives the finish darker hues as light reflects off of the metal. 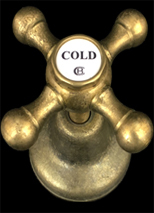 It does not look oxidised or tarnished. 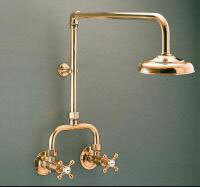 Bright Copper is a finish electroplated on to brass (like chrome) which has the appearance of freshly polished copper. 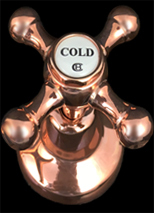 Bright Copper, like Polished Brass, quickly and easily reacts to air and moisture and this creates tarnishing. 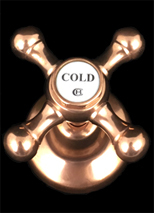 Dull (Matte) Copper is a finish electroplated on to brass (like chrome) which has the appearance of freshly polished copper. 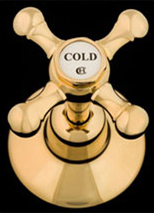 Dull Copper, like Polished Brass, quickly and easily reacts to air and moisture and this creates tarnishing. 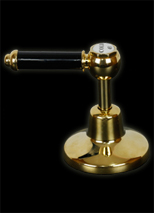 Black is forever stylish, and is best paired with Chrome or Gold finishes. 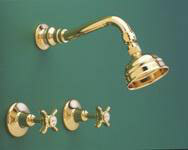 Clean and crisp, best with Chrome or Gold finishes. 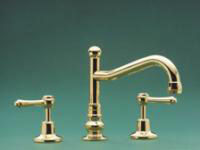 Almond Ivory best compliments Gold finishes. 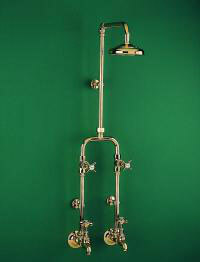 An all round pleasing Heritage colour, beautiful with both Gold and Chrome finishes. 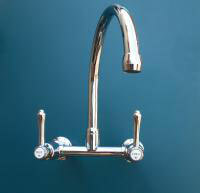 Another all round pleasing Heritage colour, suits all finishes. 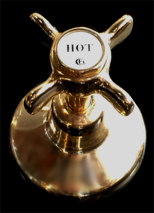 - Hand shower handle inserts. 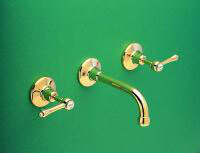 - Roulette Lever coloured inserts. 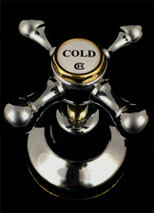 - English style flange inserts for the base of our tapware. 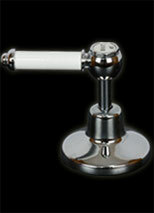 - English style flange inserts for accessory mountings (e.g. 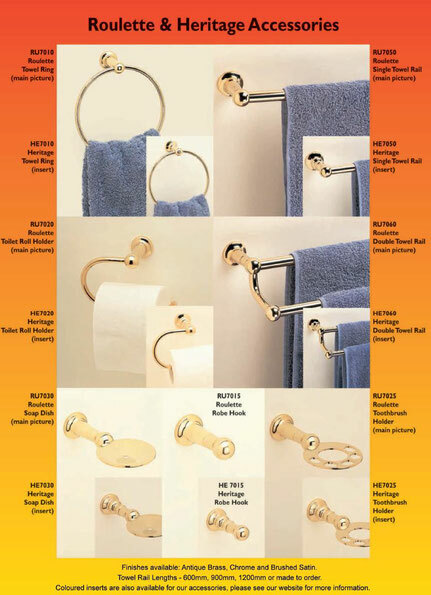 towel rail wall mountings, toilet roll holders, soap dishes). 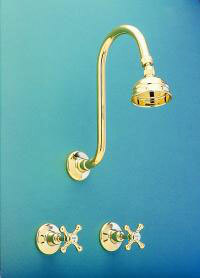 Our coloured inserts are not plastic or ceramic, they are made from Australian brass. 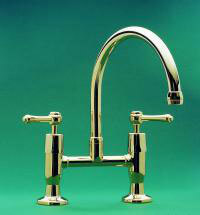 Roulette and Heritage Accessories to complement or enhance the matching tapware.